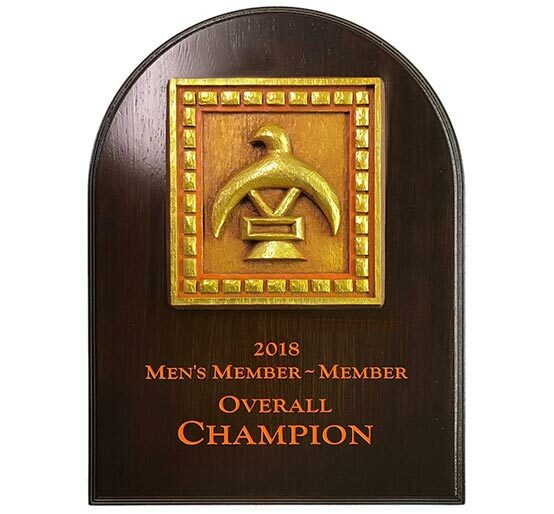 Our custom wall mounts offer multiple options to create a unique award or recognition gift. 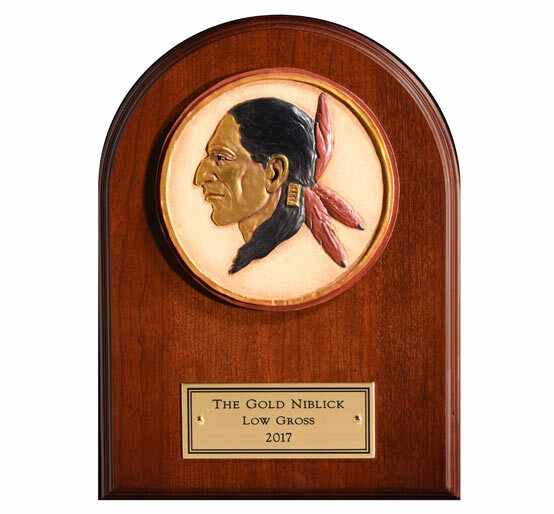 Our custom wall mounts offer multiple options to create a unique award or recognition gift. 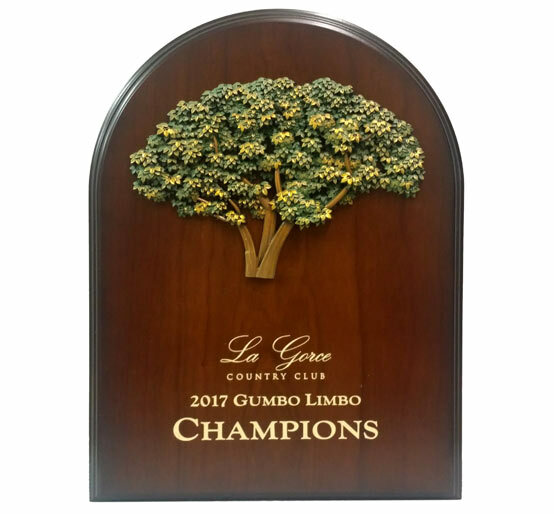 They each feature the club our corporate logo in three dimensions in choices of a gold, silver or bronze finish or hand painted with logo colors. 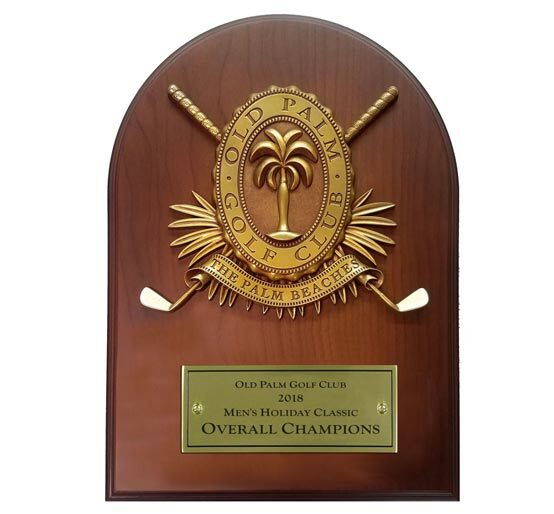 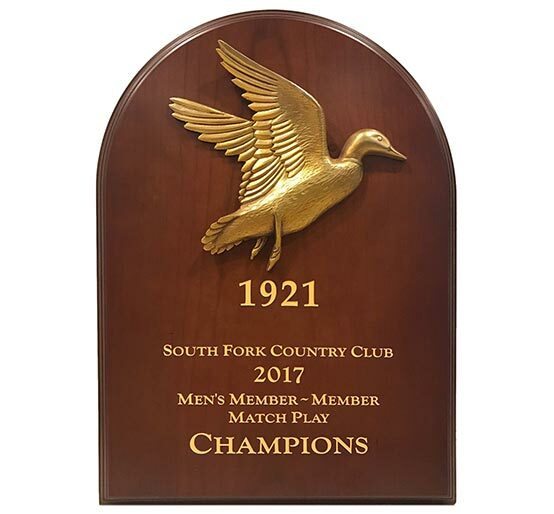 Tournament information can be displayed with a matching high gloss gold, silver or black metallic plate or a brass plate or engraved in the wood under the logo in white or gold letters. 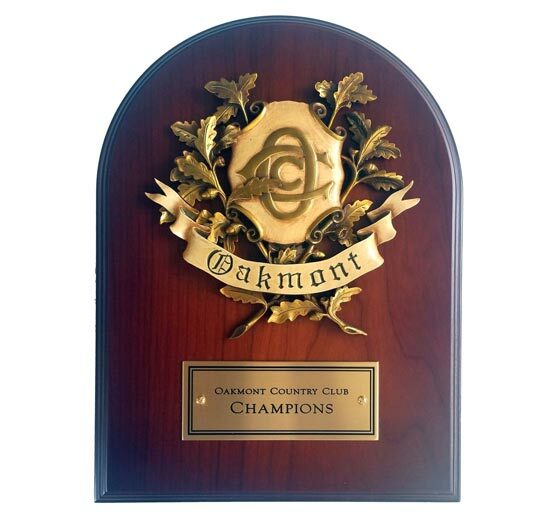 Wall mounts are made with an American dark cherry finish hand sanded, stained and sealed with a durable finish. 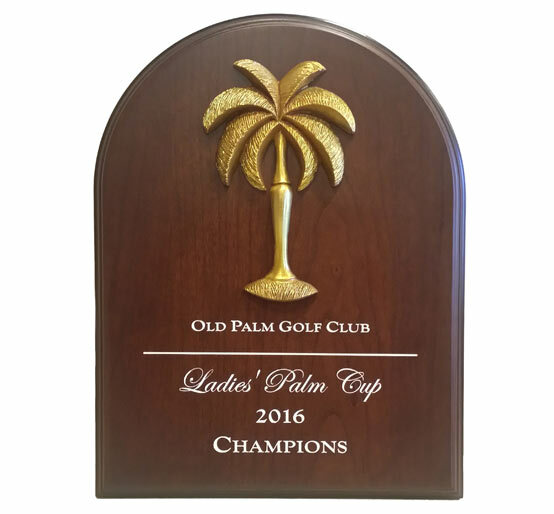 A Morell Studios wall mount is a perfect for golf tournaments such as Club Championships, Member-Guests, ProAms and charity events. 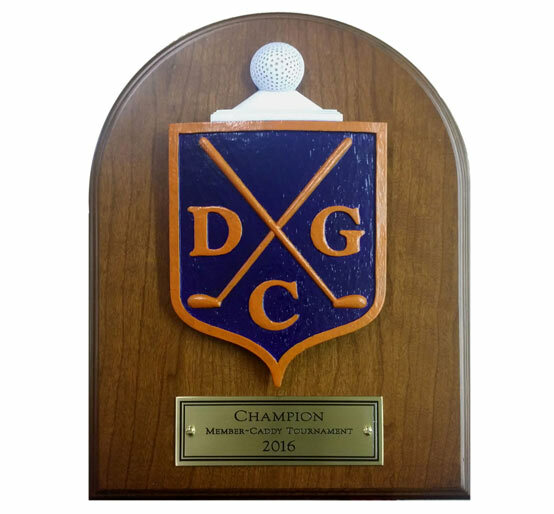 Each 3D logo is custom created. 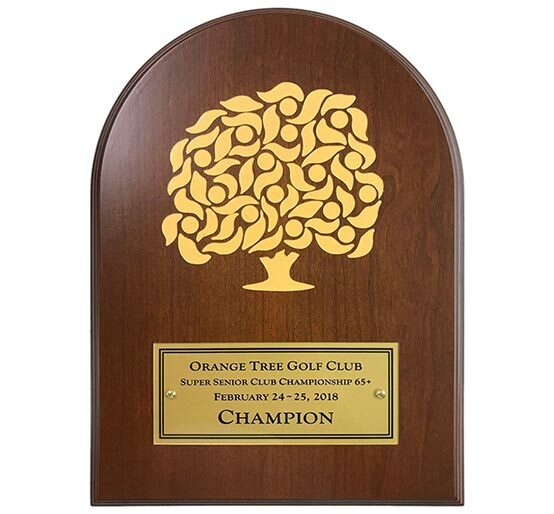 3D logo setup charges will be determined based on logo complexity.